We are instrumental in Manufacturing, Exporting, and Supplying a quality range of Iron Pillar Candle Holder. 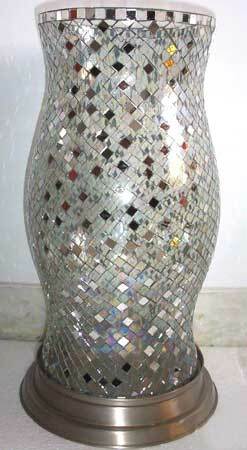 These Iron Pillar Holders are available with mosaic glass top which is specially handcrafted with premium raw materials. Our mesmerizing range of Iron Pillar Candle Holder is largely demanded by handicraft industries, owing to its striking features and durable life.